This entry was posted in Geen categorie and tagged Bishop in Europe, Remembrance, Sittard on 22 November 2017 by Linda Fone. The New Year began for me with a visit to Malta. I was there as part of a delegation of church leaders from Brussels who had been invited to meet with the Maltese Government. The European Council of Ministers has a rotating presidency. Each member state takes the chair for 6 months. At the beginning of 2017 it is Malta’s turn. Churches have a statutory role in dialogue with the authorities of the EU under Article 17 of the Lisbon Treaty, so representative leaders of the Christian Churches were invited to Valletta to talk over the Maltese plans and priorities for their presidency. We had a grand sense of arrival going up the steps to the Prime Minister’s office prior to being saluted by pairs of splendidly dressed soldiers. The Conference of European Churches (CEC) represents some 170 Protestant and Orthodox Churches. I was invited to lead the CEC delegation in partnership with Brother Olivier Poquillon, the new General Secretary of our sister Roman Catholic organisation COMECE. We were hosted by the Archbishop of Malta, and met with the Prime Minister, Deputy Prime Minister and Foreign Affairs Minister. The meeting lasted one hour. It opened with Prime Minister Muscat publicly welcoming the delegation and setting out the priorities of the Maltese Presidency. Olivier and I responded, setting out the reasons why the churches were meeting him and expressing our support for the work of the Presidency. The extensive press corps were then asked to leave and the meeting continued in closed session. The priorities of the Maltese Presidency cover six areas: migration, strengthening the single market, security, social inclusion, Europe’s neighbourhood, Maritime governance. The top priority is migration. This accords well with the priority of other EU member states and the EU as a whole. From the churches’ side, we wanted to propose a balanced approach to migration based on the dignity of the human being as made in the image of God. We reminded the presidency that migration brings benefits to receiving nations as well as costs. We re-iterated a plea for safe and legal pathways for migrants. We pleaded for the importance of uniting families when decisions about asylum are being made. And we hoped that, in the reform of the Dublin process, the EU overall could show solidarity with countries such as Greece and Italy in the handling and relocation of refugees. We encouraged the presidency to foster a strategic and sustainable approach to migration as well as addressing short-term tactical problems. 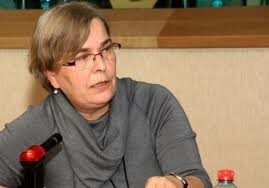 Doris Peschke of the Church’s Commission for Migrants in Europe gave expert views. Our discussions were conducted in the knowledge that the Maltese Presidency takes place in very challenging times for the EU. Unfolding events (particularly elections in The Netherlands and France and election campaigning in Germany) will inevitably influence the dynamics of the Presidency. This kind of beginning of term discussion between the Presidency and the churches is something to be treasured. Could we imagine a UK government convening a meeting with the churches to discuss the agenda set out in the Queen’s speech? 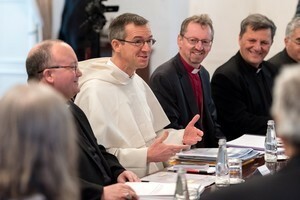 I hope that, despite Brexit, the Anglican Church will continue to be able to take its place at the table in these kinds of discussions as a member of the CEC. This entry was posted in Geen categorie and tagged Bishop in Europe, EU, Malta on 20 January 2017 by Linda Fone.